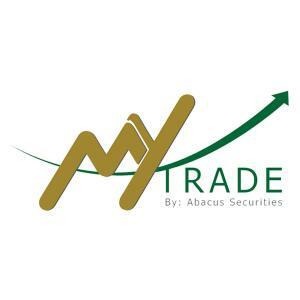 MyTrade is the new online trading arm of Abacus Securities Corporation. 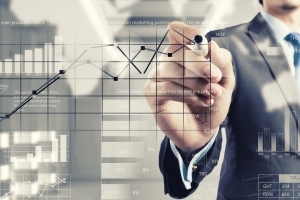 MyTrade offers the most advanced platform in the market today that is backed by a robust infrastructure, incisive analysis and unparalleled customer service. We provide what you need to make trading smooth, profitable and truly personal. Streaming real-time quotes and market information. Create, configure, and customize charts with various kinds of indicators. Place trades fast and with ease. Can place, revise, cancel orders at off-market hours. Available platforms : PC or laptop, mobile, tablet. Provide concise and relevant reports that will guide clients at the start of day and on their investment objectives. Daily News, Short Takes, Action Idea, Sector Reports, Supertimer, Investment Summary. Passed the licensure exams for CSR given by SEC. Knowledgeable to assist clients from Account Opening, Trading, Settlement and Post-Settlement activities. Follow these steps below to open your MyTrade account. Click “Sign In” >> “Register” >> “Register New Account”. IMPORTANT: For the “Referred by:” field, please indicate “Others >> Rampver”. Print and sign the following: Account Opening Form; Online Trading Agreement and; accompanying Signature Card. Attach photocopies of two (2) valid IDs (at least one (1 )government-issued ID) to the printed documents and submit these to your Rampver Business Development Officer/ Financial Advisor. Wait for MyTrade Customer Service to verify your information. We will inform you via email that your online trading account has been created. Fund your MyTrade online trading account through any branch of BDO Unibank, Bank of the Philippine Islands, Metrobank, Union Bank or Rizal Commercial Bank. (Please see steps for Payments/ Deposits). Wait for MyTrade Customer Service to verify your information. We will inform you as soon as possible that your online trading account has been created. Fund your MyTrade online trading account through any branch of BDO Unibank, Bank of the Philippine Islands, Metrobank, Union Bank or Rizal Commercial Bank. Get a copy of the “Payment/Deposit Slip” from any of the accredited banks. Fill up the form and accomplish the required information details. Payment/ Deposit Slips must be validated by the bank teller. Send the validated deposit/payment slip to us via chat, email, or telefax. Note: It is important to indicate MyTrade Account Holder’s Name or Account No. in making payments/ deposits to ensure proper and timely credit to customer’s account. Track the deposits and for the immediate monitoring of such deposit form client, we recommend client’s immediate notification to MyTrade via Chat, Internet, emails or telefax of the deposit made thereof. Instruct the delivery broker to transfer their shares to MyTrade. Upon receipt of a copy of transfer form, MyTrade will coordinate with the delivery broker. EqTrade fee of Php75/issue will be waived for the shares initially transferred. Subsequent transfers will be charged accordingly. Upon receipt of the shares, MyTrade will email client informing them that the shares were already received. Note: Client can open an account with the Php10, 000 worth of stocks. In this case, just provide MyTrade with the copy of transfer letter so that Mytrade can note it in client’s online account application form that shares of stock will be deposited in lieu of the Php10, 000 amount. Hence, account opening and transfer of shares will be simultaneously done by MyTrade.